Personally, I’m not surprised. 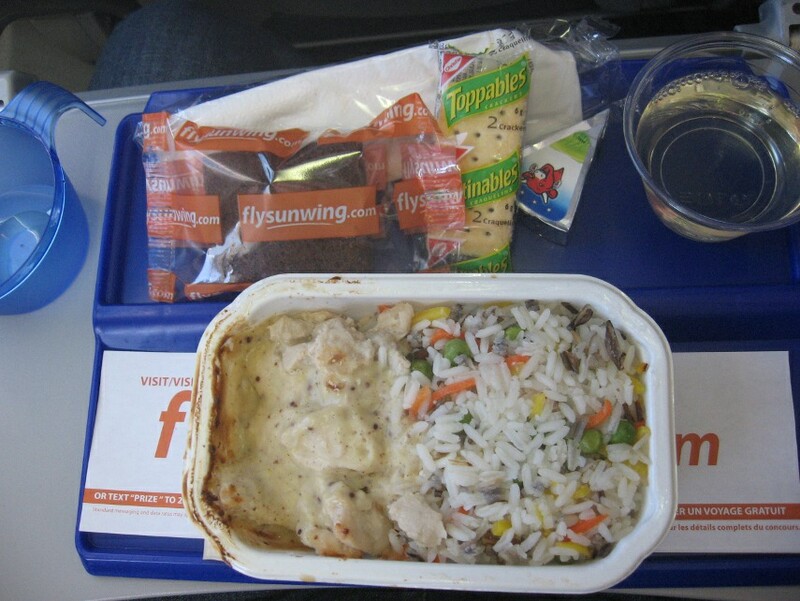 Nowadays, the only way you can get a meal on a flight under 5 1/2 hours is either to upgrade to Club Class or Business Class, to buy on board… or to fly one of the few airlines that still offers free meals on such flights: Sunwing Airlines. On its website, the airline describes its “Champagne Service“, which includes a free glass of champagne after takeoff, followed by hot towel service, and a hot meal with a glass of wine. Here are some examples from a round-trip from Montreal to Santa Clara (Cuba) one year ago. 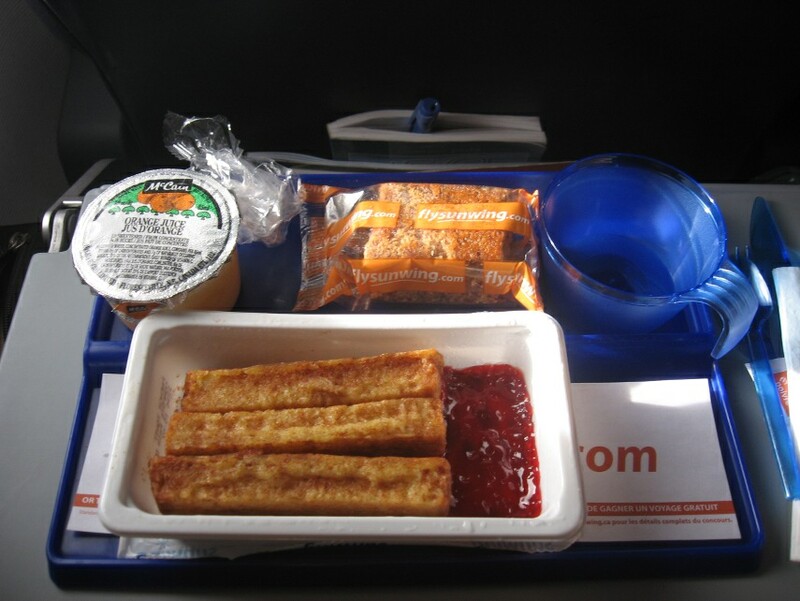 Compared to other airline food, Sunwing’s meals contain fewer items. For instance, no salad is offered with lunch, and breakfast does not include any fresh fruit or fruit salad. The typical bread roll with butter is replaced with crackers and processed cheese. The dessert is a simple chocolate cake (individually wrapped). Arguably, the portions are smaller, but surprisingly, they are filling. This being said, I have to admit: even if, technically, it’s included in the price of my ticket, it’s so nice to get a hot meal on your flight after all. It’s not so nice to realize that meals on sun destination flights are indeed an endangered species. I wouldn’t be surprised Sunwing stopped offering free meals in a few years. Do you miss free airline food on flights under 5 1/2 hours? 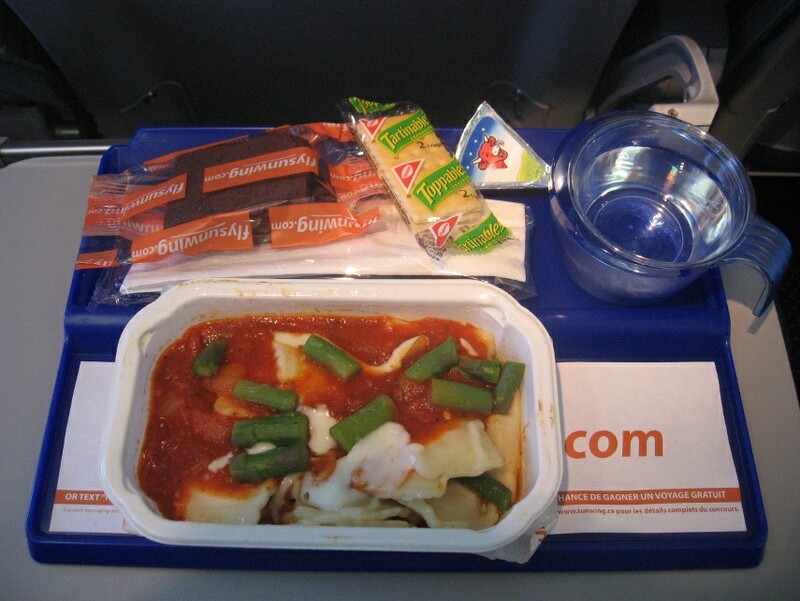 Yeap I definetely miss the days of free inflight meals but long gone are those days, for better or for worse!!. Merry Christmas from Venezuela. Next Next post: Would you make a good ABP?